Generally, I'm pretty good at gambling. Last year, I was happy to reap the rewards of a well-placed bet on Donald Trump winning the Presidency in America. A large part of me was petrified at the thought of a petty, under-qualified, sociopathic, climate change denier taking the role as the most powerful man in the free world. Yet, my winnings meant I had enough extra cash to treat myself to a few meals at Nando's - it put a bit of a cushion on this potentially catastrophic bit of news. Perhaps my best and worst bit of gambling took place in the place of a few weeks in 2014. As the Oscars approached, I felt rather confident in predicting the outcomes - each category seemed to have an obvious winner and, as it turned out, my premonitions weren't too bad at all. After selecting the correct choice in eleven out of twelve categories, I found myself blessed with a pleasing sum of money but, crucially, a profound sense of hubris. The triple figures I had accumulated in one night didn't stay with me long. My over confidence led to me placing bets on Wrestlemania. 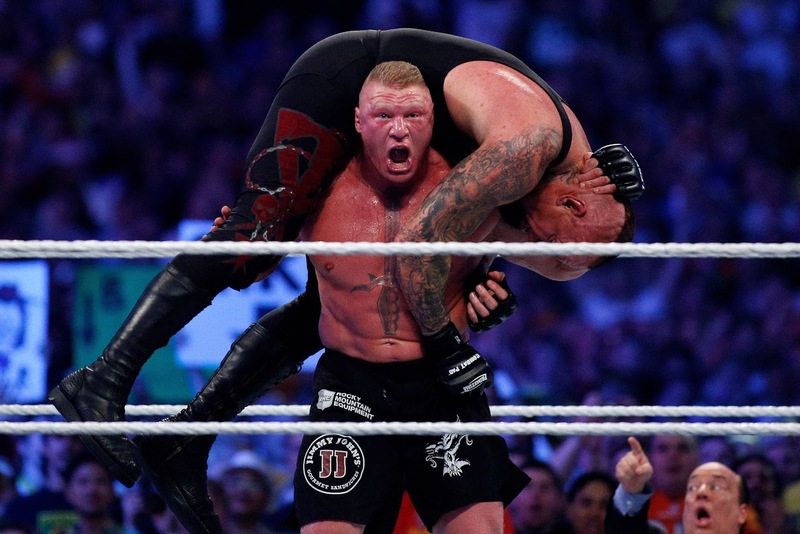 The Undertaker was a dead cert to beat Brock Lesnar I thought. Alas, my over confidence was the undoing of me; all my gains were frittered away in a single splurge as I bet on men in spandex who pretended to fight one another. This, dear readers, is a reminder to gamble responsibly. (A lesson I learnt to my fiscal and emotional cost). With this in mind, I was recently introduced to a company called Lottoland - perhaps they could provide me with an outlet for (responsibly) laying the odd wager or two? Surely, the outcome could be no worse than on the betting of outcomes relating to predetermined violent pantomimes? For those familiar with the National Lottery, it might seem an obvious conclusion to jump to that the company offers a similar game for gamblers to partake in. This, however, is not entirely accurate. Lottoland, too, provides access to the Irish Lottery and American Powerball - yet, it is also slightly different to a portal which simply grants one access to various lottery games from across the globe. What the Lottoland website allows you to do is actually categorised as "Lotto betting" rather than simply purchasing entry tickets for individual lotteries. What this means, in essence, is that you can place bets through Lottoland on numbers which will be drawn in any lottery of your choosing and will be paid out directly from Lottoland rather than directly by the lottery operator themselves. 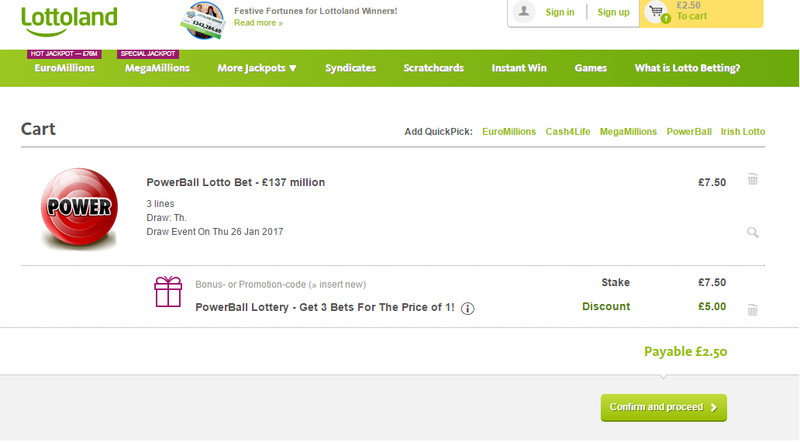 So, for example, you can choose numbers for the Irish Lottery and, if you're lucky enough to match them, Lottoland will issue your pay outs. If I've made this sound overly complicated already, I do apologise - once you're in and have a play around with the dashboard, everything is much more straightforward. There's options for purchasing scratchcards too (if, like me, you're fed up of having a wallet full of winning entries you keep forgetting to redeem) and the interface which allows you to keep track of all your bets can be appealing to those who prefer digital rather than physical gambling. As always, for those looking at laying down a few pounds, I'd suggest giving yourself a cap on the amount you'd like to bet so as to not throw good money after bad. I'd also recommend researching the company a little to make certain you're happy with the T&Cs and then, above all else, I wish you the very best of luck! How I can set up purchasing on Scratchcards at this service? I hope you are professionals and can find the right way how to solve this issue. Thanks!